How often have you felt connected to a game or its story? How often does it make you feel like the story is either about you, or being told to you? Before playing The Beginner’s Guide, I would say that Tearaway was the closest I have felt to a game. That is because the game directly acknowledged me, the player. I was the one interacting with the world. I was the one who chose what the squirrel king’s crown looked like. I was the one who gave the scarecrow a sweet eyepatch. I was the one who made silly sounds that ended up in the game (It’s been a while, I forget exactly what sounds I may have made). The world of Tearaway became my world. It was unique. Now, The Beginner’s Guide is not my world. But it is someone’s. Specifically Davey Wreden’s. Davey uses the game to tell a story about anxiety and depression, critique and praise, and the use of art and creation to deal with these things. So what? Other games have dealt with similar issues. Gone Home deals with family and feeling out of place. Thomas Was Alone touches on loneliness, friendship, and teamwork. The Last of Us and Telltale’s The Walking Dead have themes of parenthood. So, what sets The Beginner’s Guide apart? Well, what do all of those other games have in common? From a gameplay perspective they are all pretty different. One is a first-person narrative adventure, one is a puzzle platformer, one is a third-person shooter, and one is a point-and-click adventure game. Okay, what else? Setting? The Last of Us and The Walking Dead both take place in a zombie apocalypse, but the rest are all different. How about characters? Once again, with the exception of The Last of Us and The Walking Dead being similar, all of the games here have radically different characters. Gameplay: Walk around, make some dialogue choices. Less interaction than Gone Home. Setting: No consistent setting. 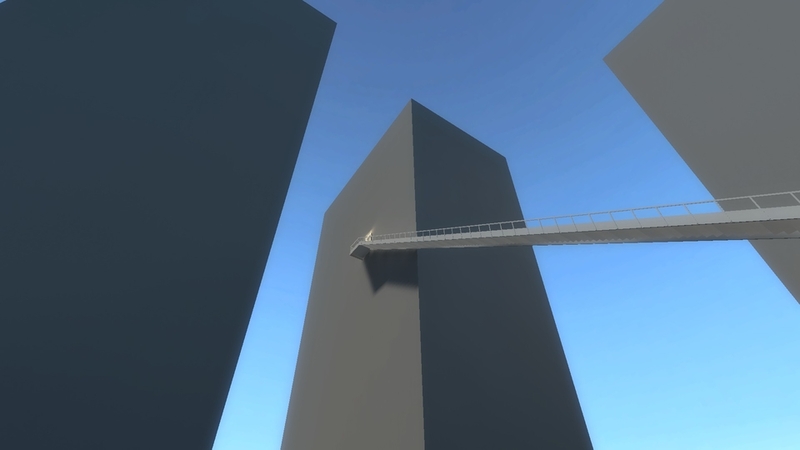 You walk through various games made by Davey’s friend, Coda. Characters: Davey and Coda, Neither of whom actually appear in-game, and only Davey interacts with the player. The game opens with Davey speaking to you, setting up what the whole experience is going to be: You will get to see the games Coda made, and Davey will give his opinion on them, then you move onto the next game. Right from the start this makes it feel like a documentary. Davey moves the player along, not wasting any time with unimportant parts of the games. This is not to say that Davey completely shuts down any exploration in The Beginner’s Guide. Until you reach the end of a game, there is nothing forcing you to move on. I found this decision on Davey’s part interesting. He could have made the entire game on-rails. Moving the player to the next location, saying what he has to say, and repeating this process. The core experience would be the same. But there is something about the freedom that Davey does give that just feels… good. After the introductory game, a small Counter-Strike map, you go to a spaceship game. Within the ship is a maze. Davey says that in the interest of time he will teleport you to the end. He says there was nothing interesting to find there. You are free to walk around if you want. You can go behind the buildings. If you decide to start walking around them, Davey will say that there is nothing to find. He is right. He is right about this, and he was right about the maze. But, if you want, you can go looking around. There are more instances of this behavior elsewhere in the game, where Coda may have placed a challenge, or annoyance, and Davey allows you to skip them. I won’t talk about more though, these examples are enough. Play the game for yourself, it’s worth it. First, it sets up how Davey is going to tell the story. If he doesn’t think something is important, he will just move you along, so you can get to the next important bit. Unlike most videogames, The Beginner’s Guide doesn’t reward you for doing anything extra. There are no achievements or secrets. Second, and I think this is the most important thing the game does, it lets you explore, even though there is nothing to be found. This is especially important if we are still looking at the game as a documentary. Being able to freely move, to explore, is something viewers cannot do with film or television. Say you are watching a documentary on a band. In one scene they may be playing a show at a bar. The bar is irrelevant to the band’s story in the same way that the maze or buildings are irrelevant to Davey’s. But maybe something about the bar catches your eye. By the end of The Beginner’s Guide, it is fairly clear that the whole thing is fiction. But the thing is, unlike almost any other videogame, it actually feels believable. It feels like someone else’s world. Because Davey didn’t make a game and he wasn’t playing a character. He told a story and was being a human. I dunno. You might think this is all irrelevant, but I think it is pretty neat.